I began this blog in July 2003, experimenting with ways of communicating with my students outside the classroom. 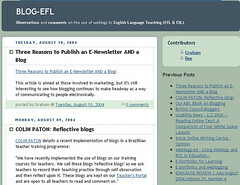 Later, it transformed into a blog of reflections on blogging for EFL. And then this widened to edtech in general. 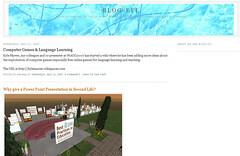 At some point (probably when most of my time was taken over by it) the blog became dominated by reflections on Second Life. 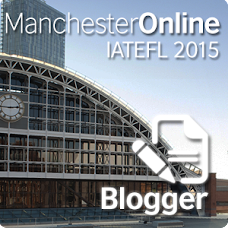 Now (in 2010), I'd like to use it as a place where I can write about anything related to teaching and learning. I´m an Enlgish teacher from Peru. I´m kinda new in the whole blogging thing. 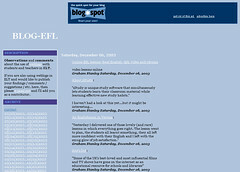 http://www.cpesamplewritings.blogspot.com I liked your page a lot.